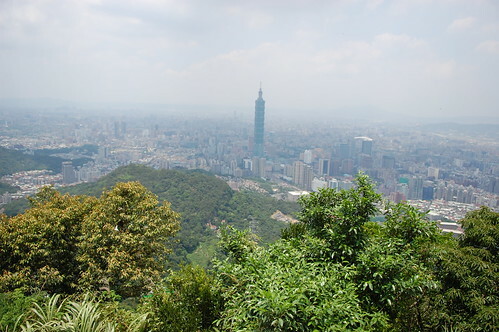 The Four Beasts 四獸山 are four small mountains in the Xinyi district that overlook Taipei city and Taipei 101. 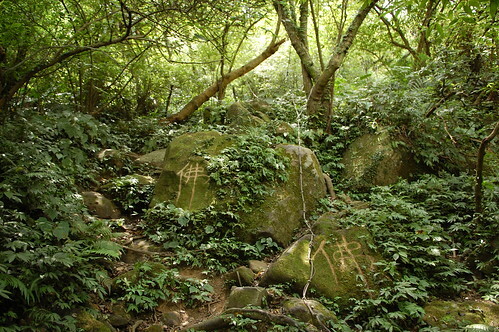 Separately they’re called Elephant, Leopard, Lion and Tiger mountain (象山、豹山、獅山、虎山). 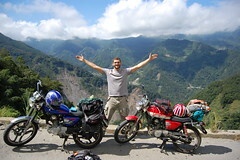 Rising up higher and behind the beasts are the peaks of Nangang mountain and Jiuwufeng. 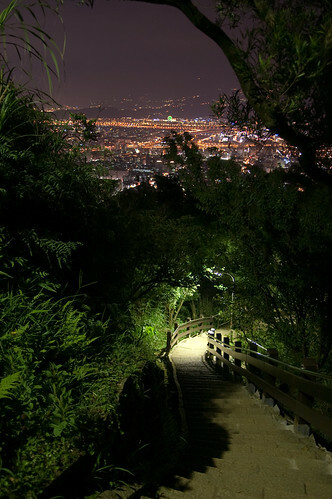 A lot of the trails here are lit at night and so lots of people come, especially to Elephant mountain, to get a great view of the fantastic night scenery. Neil Wade and myself went up Juiwufeng a while ago and again last week and the views are something that you can never get tired of. 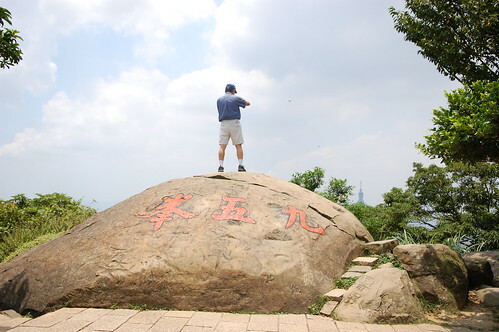 Previously I’ve always driven up to a certain point and then walked up from there but this time I wanted to start at the bottom and work my up, across the ridge and come back down via Elephant monuntain.I started on Fude street 福德街 next to the Fengtian temple 奉天宮. 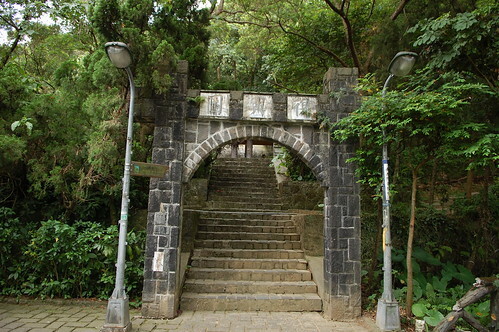 To get there you can walk from Houshanpi MRT station exit 2 down Dadao road 大道路. At the bottom there is a T junction and a 7-11 on the left. Turn towards the 7-11 and walk past it, taking the next right down Fude Street’s lane 221 . The temple is on the right. Walking past the temple, look out for a circular gate on the left, Go through this and then straight up the stairs. This is the beginning of the trail. 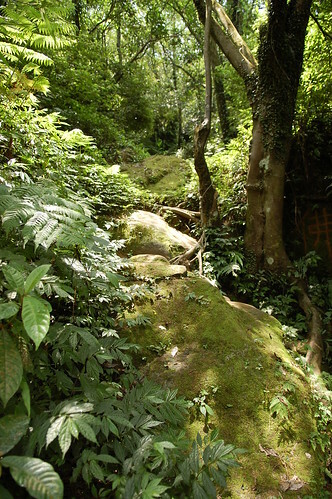 At the top of the stairs, the trail follows the edge of a cliff up to a spot called the Longdong rock (I think…. the name needs confirmation!). 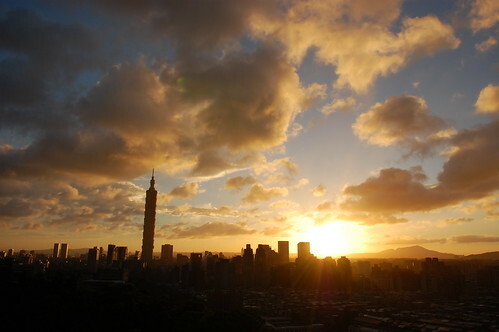 This is one of my favourite spots to watch the sunset over Taipei. On a good day, you can see the Grand Hotel, Gunayin mountain, Yangmingshan…….. it really is spectacular and only takes 15 minutes to get to. Following the trail up from here leads to a small viewing platform/shelter and a jungle gym. 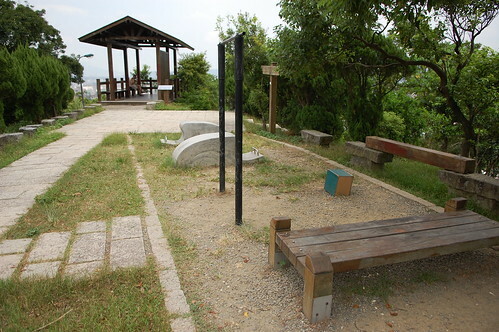 Taiwanese people seem to love going up into the mountains to do their pull ups and practice the hula hoop! 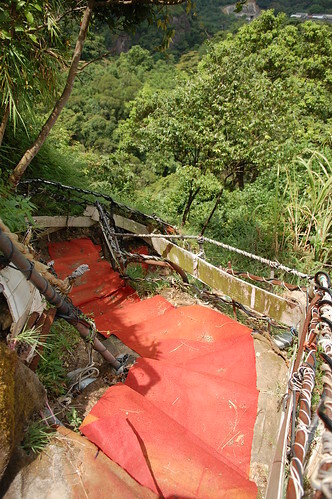 Tiger mountain is close now, follow the signs and pass by a rickety, homemade staircase with a VIP red carpet and you’re there. I walked down off tiger to the road behind it and then made a left. I then went straight at a T-junction and turned right to go to the Zhongyi Temple 忠義宮. Walking up past the temple, I came to a new but old-looking gate and turned right to go through it. It’s difficult to explain which way to go from here as there are so many trails. Just try to head up and towards the mountains and you’ll get there! After about 20 mins, you should get to the next turn off on the left. It isn’t signed posted but it is just before a shelter and it doesn’t have any paving, just rock, mud and a couple of hiking tags. Just before I started to head up, a woman came running over telling me how dangerous this route was and that I shouldn’t go on. I told I’d be fine and went ahead anyway thinking that it couldn’t be that bad! The trail goes steeply up at this point. 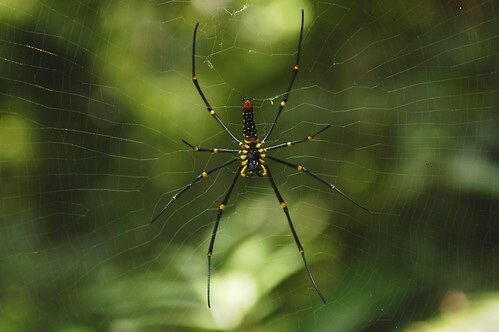 You need to clamber over boulders and avoid the enormous spiders on route. After fifteen sweaty, tiring minutes, I arrived at the bottom of a cliff. 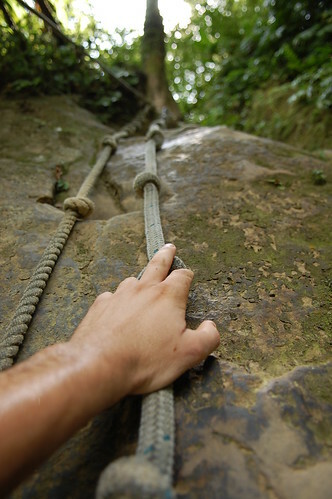 This part is very difficult and really it’s more like rock climbing than hiking. 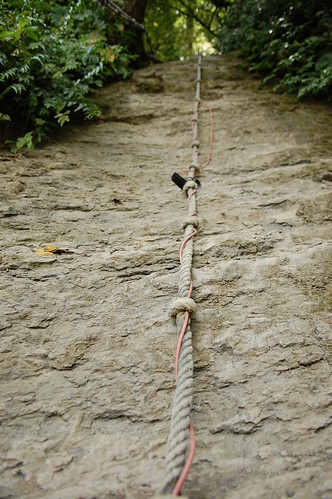 Above is a 40m high cliff with ropes attached. It is really scary! I had come here on my own and if no-one else was there, I think I might well have turned around! But seeing a 12 year girl march straight up to the ropes and start pulling herself up, I felt like I had to do it. Not many pictures of the climb unfortunately. I was too busy fearfully gripping the ropes to stop and get my camera out! Maybe next time I’ll take a smaller camera. At the very top, I scrambled over a metal fence and kissed the ground. I had made it! 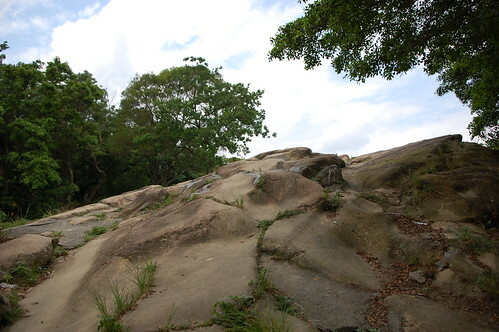 To the right is Jiuwufeng peak and after that comes the slightly smaller Nangang mountain. Jiuwufeng has awesome views of the Taipei basin and even though the weather wasn’t perfect, I thought it still looked fantastic. 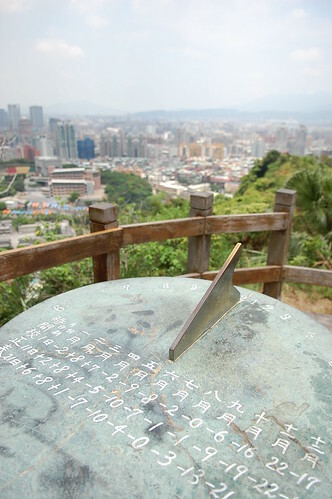 From Nangang mountain, I turned back the way I had come and then took the next left. Immediately after turning, I headed down to the right to a small roped section, with some crazy, unsteady ladders. From here the trail is again really difficult to explain. Best just to follow the sounds of KTV and head downwards. There are lots of trails and I suspect they all lead pretty much the same way. 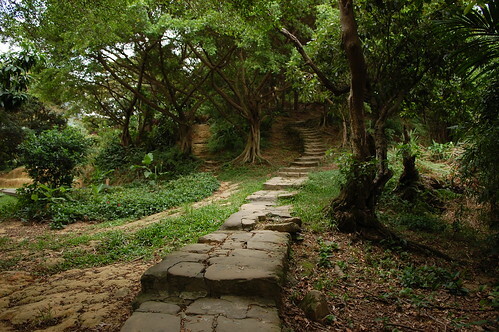 After a while I got to the Sishou trail and I followed this to elephant mountain. 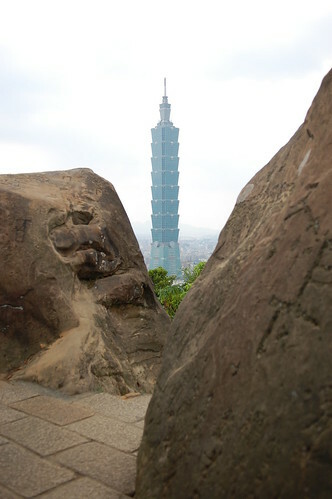 Just after elephant is Thumb rock, a small collection of rocks with a wonderful view of Taipei 101. The trails up on the four beasts are nearly all paved and easy to follow. 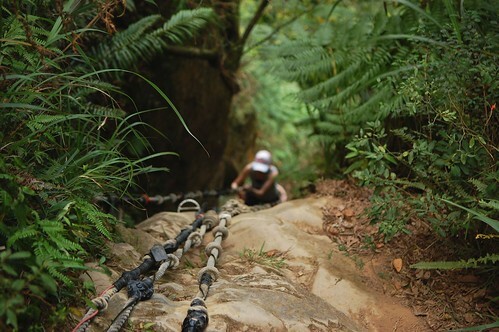 However the roped section leading up to Jiuwufeng is very, very difficult and should only be done on a dry day. Water and everything you need can be bought at the 7-11 on Fude Street at the start. Information on buses can be found here. Great write up Stu. I think we're both going to be spending a lot of time up there in the near future! Cheers mate, it's amazing to have such a great place literally round the back of our homes! Interesting places you have been visiting. Looks like great adventures! I will be in Taipei October 3-10. I wish I could join you in one or some of your hikes? Would you accommodate me? I also found hiking to be healthy aside from fun and challeging. 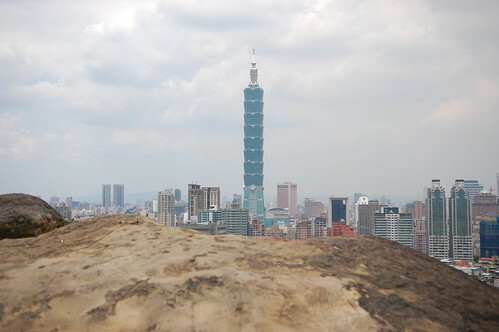 I want to try hiking in Taipei this time. Hope you can help me. Sure Gerry! Just send me an email before you arrive and I'll let you know what my plans are for that time. 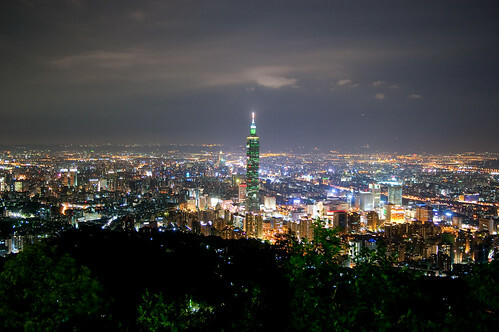 Im here on a training trip in Taipei. And would like to join your hikes this weekend if any. 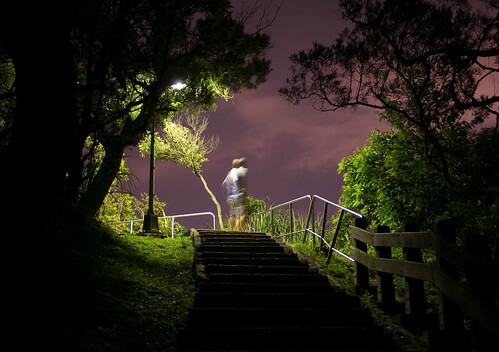 Any hikes you planned this weekend 11-12/dec? Sorry, I’m in the midst of moving house and so won’t get much hiking done this weekend. Hey Stu, great article! May I know roughly how many hours you took to cover all 4 mountains? For the fours beasts you could do it on 2-3 hours. If you want to go to the top to 95 peak, it takes about 4 hours in all. Great post, holds up well after all those years. Only updates I can think of: That 7-11 at the corner of Dadao Rd. and Fude St. is gone. 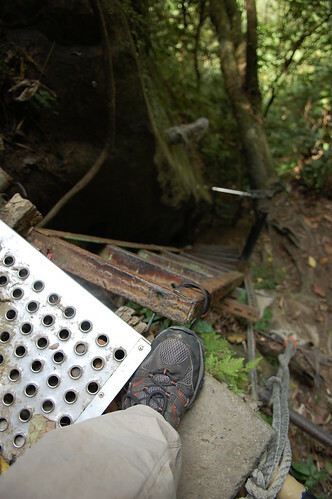 And the red carpet stairs leading up to Tiger Peak have been replaced by more sturdy, but boring concrete steps.